List your Business Now! Become a member today! If you are already a member, please Log In to submit your listing. 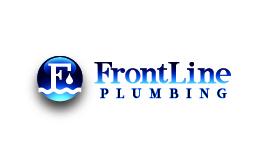 Frontline Construction Inc., (aka as Frontline Plumbing) was established in 2010 by Rick Munoz. 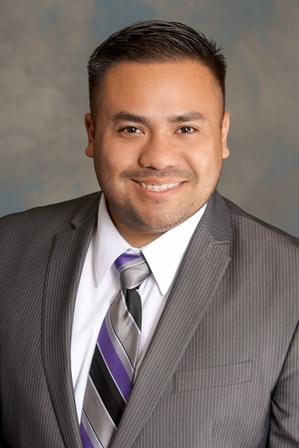 Mr. Munoz has over 30 years of experience in the construction industry with a reputation for completing work on time and under budget. Diversity is an integral part of who we are and how we operate. Our employees reflect the rich diversity of central and Southern California, and we play an active role within the diverse communities around us. At SCE, we believe diversity is about capitalizing on the strengths of everyone, empowering people, and promoting the human spirit. We develop and nurture close working relationships with local communities to keep information flowing about important topics like energy conservation, opportunities to save, safety around electricity, and more. The Port of Los Angeles encourages those businesses that desire contract opportunities with the Port of Los Angeles and other City Departments to register on the LABAVN. LABAVN is a free service provided by the City of Los Angeles and the Mayor's Office of Economic Development. Consultants and subconsultants can view and download information about contractual opportunities in one convenient location as well as find up-to-date certified sub-contractors to complement your project bid or proposal. LABAVN provides access to an industry specific contractor directory for researching, sourcing, and managing contract opportunities for large and small businesses, and for identifying potential sub-contracting opportunities associated with contract awards issued by the Port of Los Angeles. Plains All American Pipeline is engaged in the transportation, storage, terminalling and marketing of crude oil, as well as in the processing, transportation, fractionation, storage and marketing of natural gas liquids ("NGL"). We own and operate a diversified portfolio of strategically located assets that play a vital role in the movement of U.S. and Canadian energy supplies. On average we handle over 3.9 million barrels per day of crude oil and NGL through our extensive network of assets located in key North American producing basins, major market hubs and transportation gateways. The company is headquartered in Houston. Tesoro Corporation, a Fortune 100 company, is an independent refiner and marketer of petroleum products. 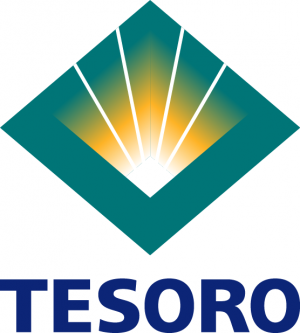 Tesoro, through its subsidiaries, operates six refineries in the western United States with a combined capacity of 850,000 barrels per day. Tesoro’s retail-marketing system includes over 2,250 retail stations under the Tesoro®, Shell®, ARCO®, Exxon®, Mobil® and USA Gasoline™ brands. 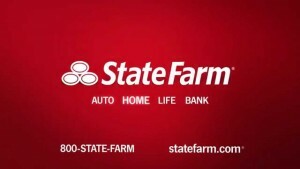 Find information about the State Farm legacy, the passion of its employees and its mission to be a Good Neighbor, as well as links to the State Farm Newsroom and other resources. From community involvement to disaster response, State Farm is committed to supporting the neighborhoods it serves and the neighborhoods our associates call home by helping to build safer, stronger and better educated communities. La Amapola was co-founded in 1961 by Carlos B. Galvan along with his father Francisco Galvan. Carlos took over the helm in 1970, when it was still a "mom-and-pop" neighborhood market with only six employees. Today, La Amapola is a specialty food store and manufacturer of tortillas, employing more than 200 people. Throughout the years, La Amapola has gained fame by selling the best corn tortillas and masa for tamales. Every holiday season, queues of customers line up outside the stores for hours before the doors even open for business. El Aviso Magazine is an award winning Spanish language weekly publication; it’s a one of a kind way to reach highly responsive Spanish Speaking market. El Aviso was established in 1988, and it is distributed throughout Southern California’s areas of high Hispanic population. El Aviso Magazine offers a unique blend of Social & Political, Health & Welfare, General Cultural, Motivational, Family, Entertainment and Personal Article content and even a dash of the Unbelievable. El Aviso Magazine is passionate about promoting your business to the highly responsive Spanish speaking communities. We are always working on improving our effectiveness, by constantly monitoring trends and analyzing feedback. We do this through constant involvement in various community events and surveys. We help build and strengthen your business by exposing your ad to many of our loyal readers who have come to rely on us for a source for reliable information. The YMCA of Metropolitan Los Angeles is a non-profit organization dedicated to strengthening the foundations of community through youth development, healthy living and social responsibility. Get involved today. Built on more than 130 years of experience, Phillips 66 is a diversified energy manufacturing and logistics company. With a portfolio of Midstream, Chemicals, Refining, and Marketing and Specialties businesses, the company processes, transports, stores and markets fuels and products globally. 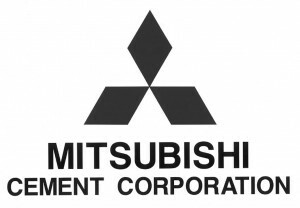 Headquartered in Houston, the company has 14,000 employees who are committed to operating excellence and safety. Phillips 66 had $49 billion in assets as of Dec. 31, 2014. AMCI is the automotive industry leader in providing OEMs with a wide range of innovative brand and product launch solutions. Our exclusive automotive focus and structure yields the unparalleled product and brand insights needed to integrate Product, Consumer and Retail initiatives while providing global reach and experience. AMCI is proud to have a legacy of “world’s first” communications programs and the proven ability to help automotive brands succeed in new markets. Los Angeles World Airports (LAWA) is the City of Los Angeles department that owns and operates a system of three airports: Los Angeles International (LAX), LA/Ontario International (ONT) and Van Nuys (VNY). Each plays an integral role in helping to meet the Southern California regional demand for passenger, cargo and general aviation service. Each airport makes a distinct contribution to the strength of the system as it provides a high level of safety, security and service for its customers, communities and stakeholders. 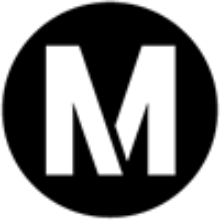 The California High-Speed Rail Authority is responsible for planning, designing, building and operation of the first high-speed rail system in the nation. California high-speed rail will connect the mega-regions of the state, contribute to economic development and a cleaner environment, create jobs and preserve agricultural and protected lands. By 2029, the system will run from San Francisco to the Los Angeles basin in under three hours at speeds capable of over 200 miles per hour. The system will eventually extend to Sacramento and San Diego, totaling 800 miles with up to 24 stations. In addition, the Authority is working with regional partners to implement a state-wide rail modernization plan that will invest billions of dollars in local and regional rail lines to meet the state’s 21st century transportation needs. The Lottery Act initially required that 50 percent of total annual revenues be returned to the public in the form of prizes and at least 34 percent of total revenues be allocated to the benefit of public education. No more than 16 percent of total revenues were to be used for administrative costs. KP Public Affairs provides superior services in the advocacy, public relations and regulatory arenas. We can implement each of our services individually or develop an integrated and comprehensive program to meet our clients’ needs. KP professionals have extensive issue expertise and can quickly get to the heart of complicated policy matters. We are skilled in translating complex topics into real world impacts that can inform the public debate and motivate stakeholder action. At CR&A, we own the latest state-of-the-art printing equipment available in today's competitive market. Now operating for over 20 years, the team at CR&A offers an array of interactive ideas, precise execution, and creative innovation. From design to printing, our business model focuses on attending to the unique and evolving needs of each customer. From small businesses to large corporations, CR&A treats each and every customer with integrity and respect. For years, CR&A has been working with clients from all industries, helping companies take advantage of the latest digital print technology. Providing Insurance and Financial Services - Auto Insurance, Homeowners Insurance, Life Insurance, Commercial Insurance, State Farm Bank - Home Purchase, Home Refinance, Auto Purchase, Auto Finance. Delta strives to conduct its operations in a socially and environmentally responsible manner and gives back to the communities it serves.